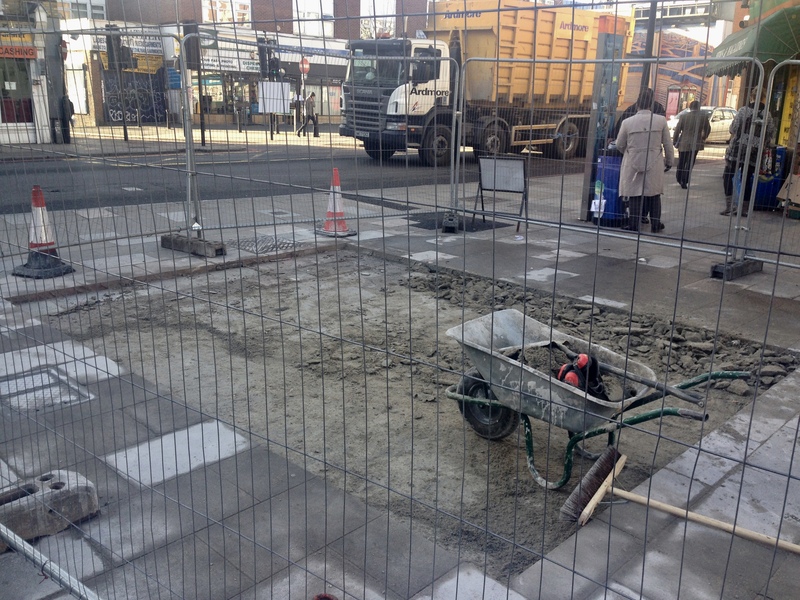 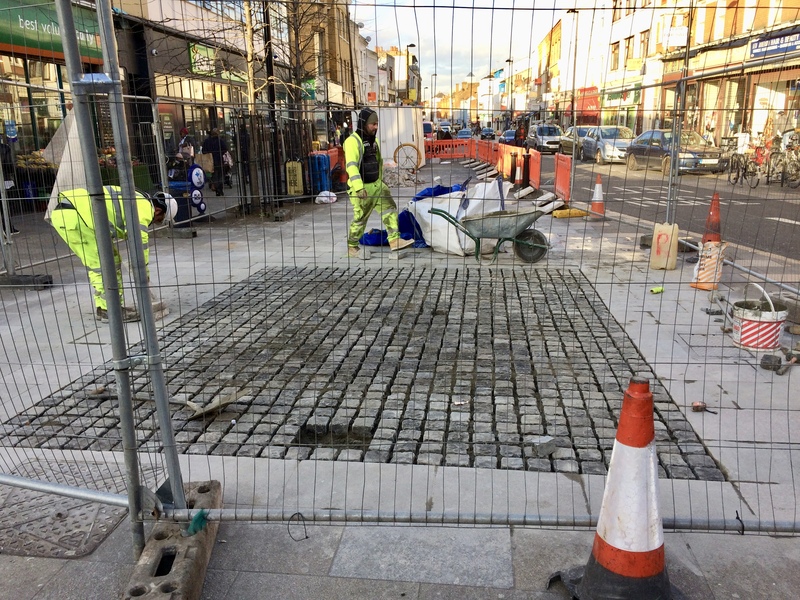 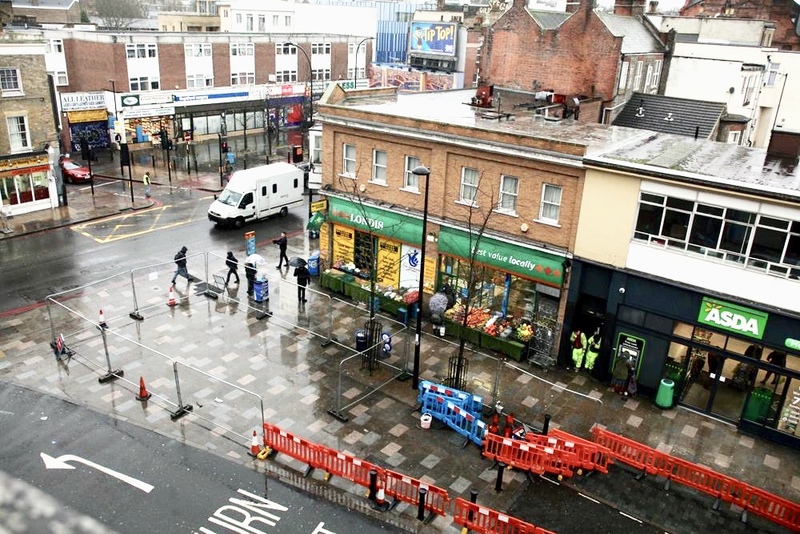 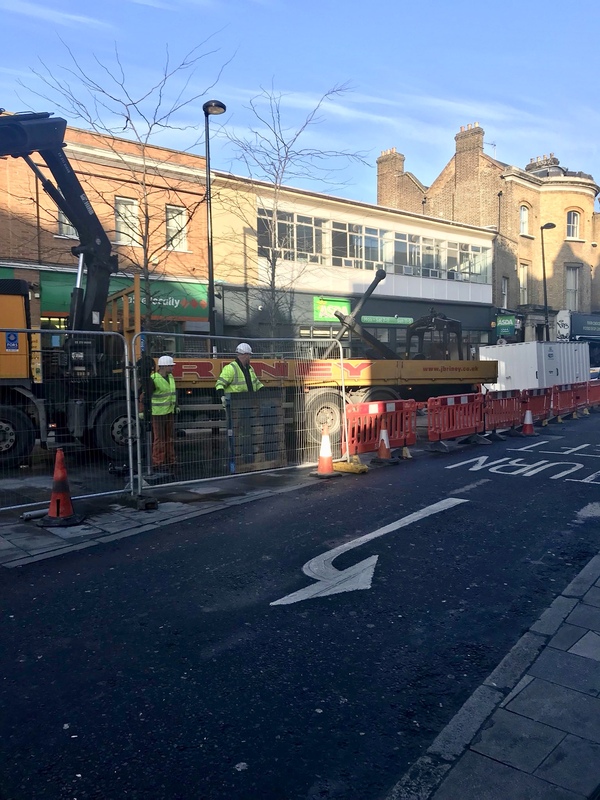 Work starts in the high street. 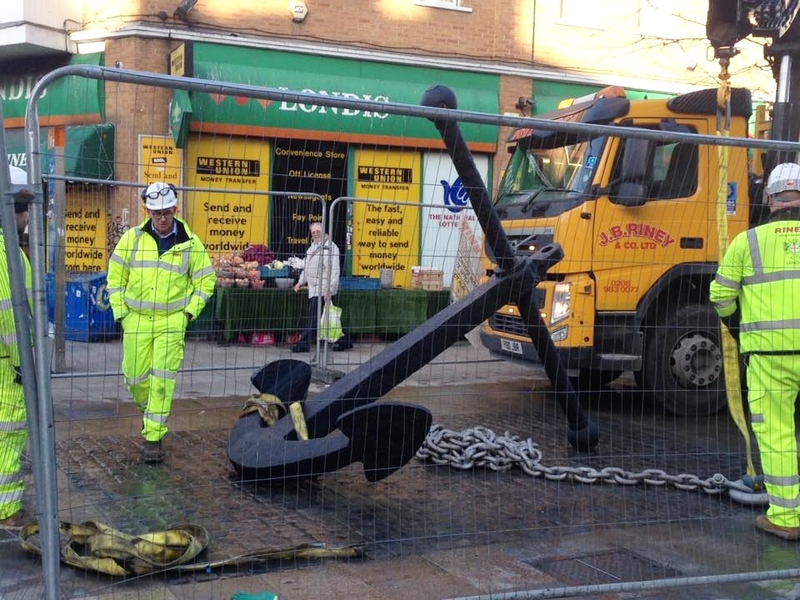 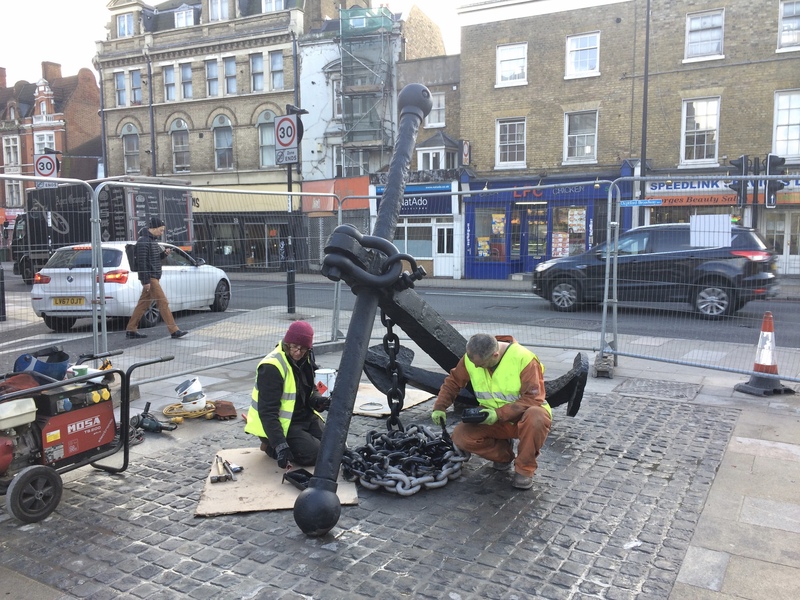 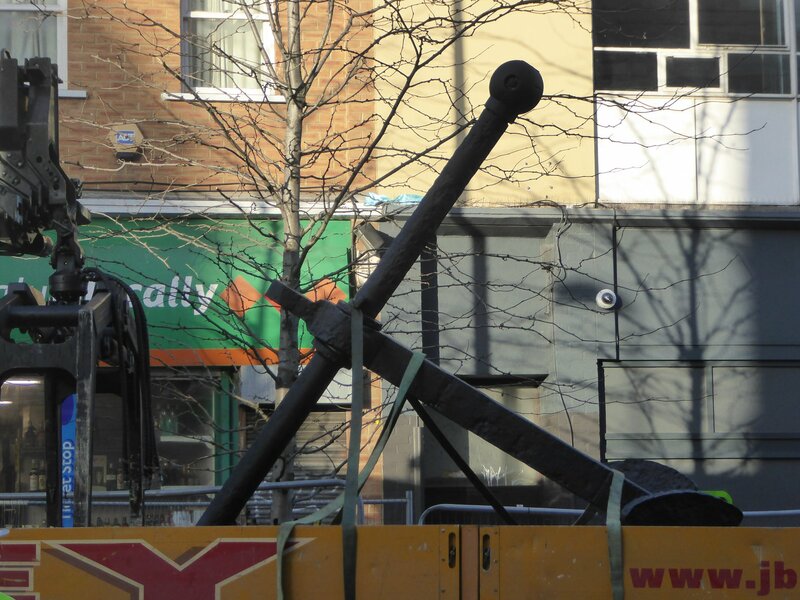 While the contractor prepares the ground, the anchor and its chain are refurbished by local sculptor Heather Burrell. 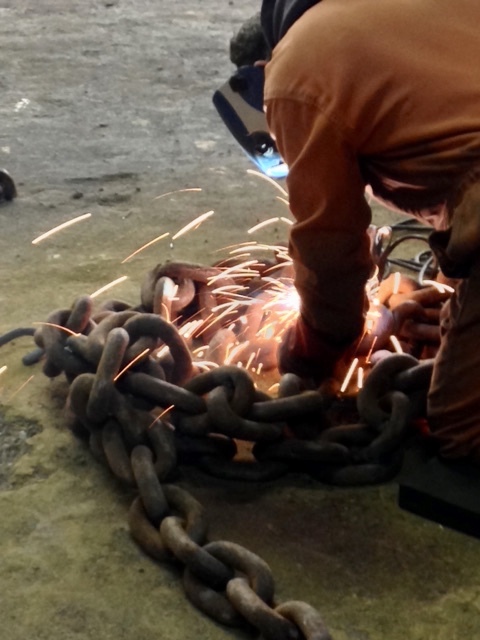 The chain is welded together and both are shot-blasted. 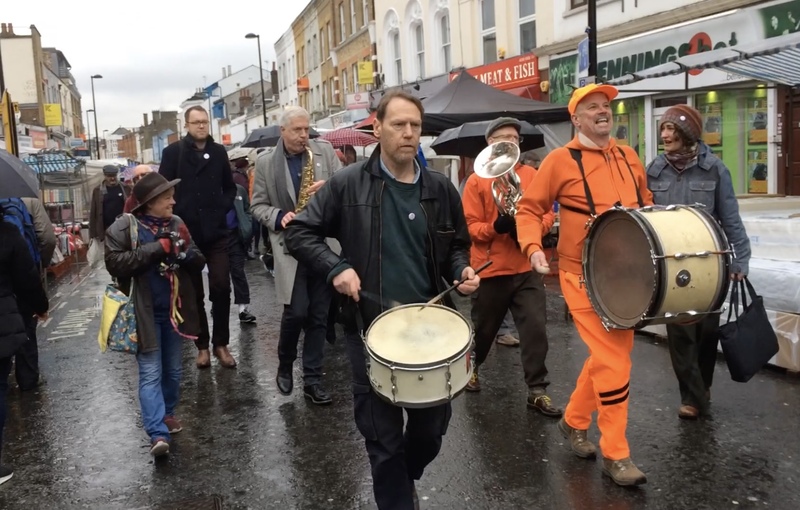 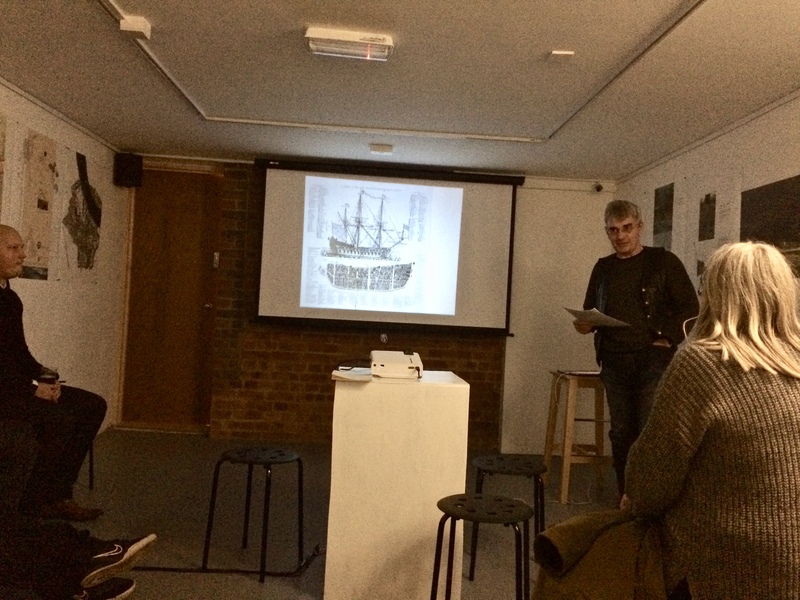 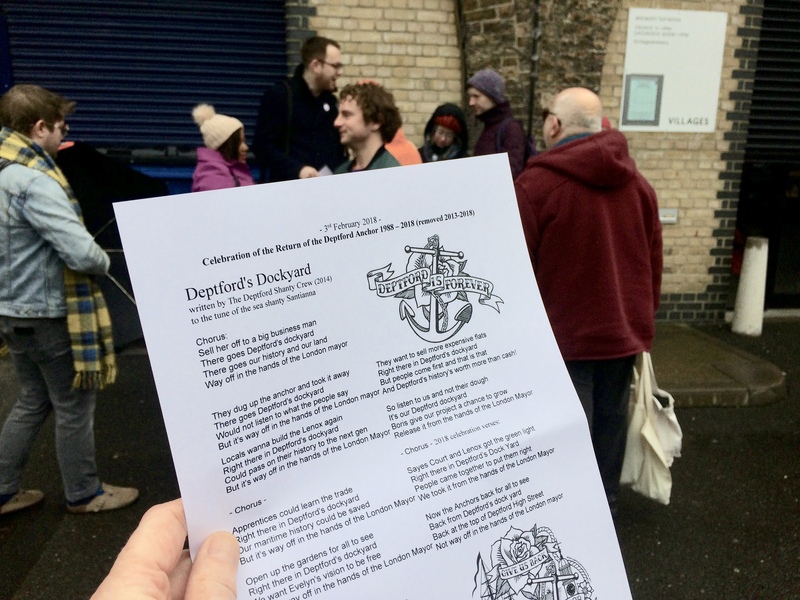 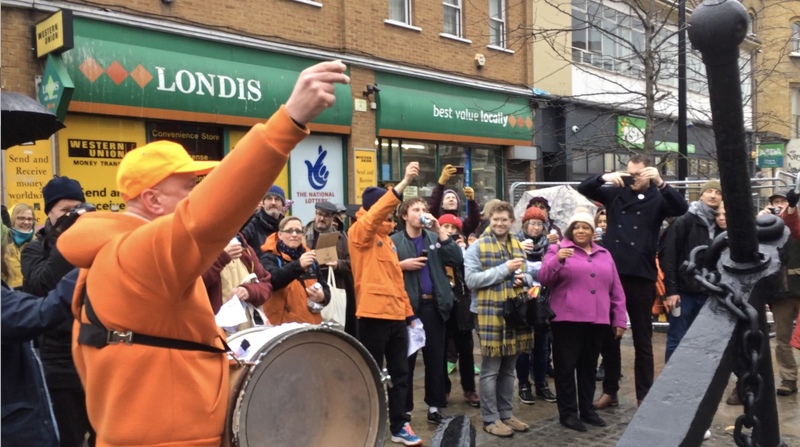 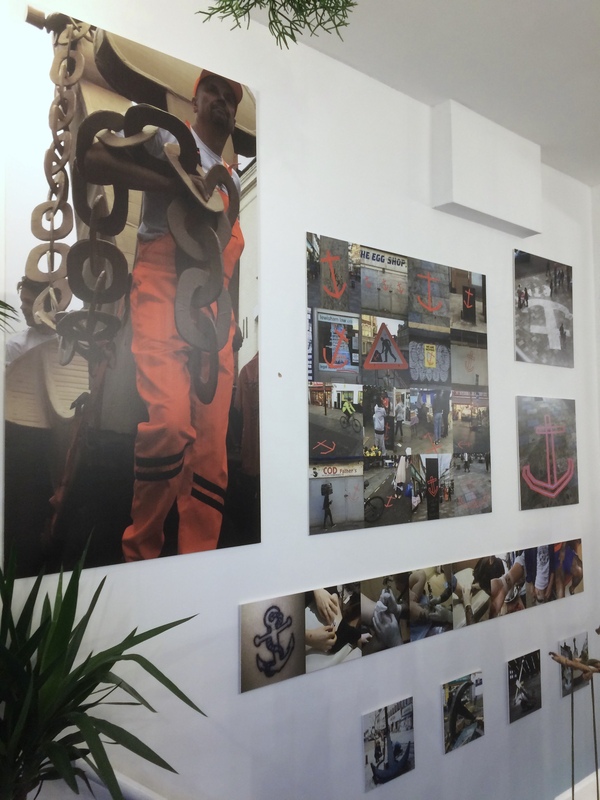 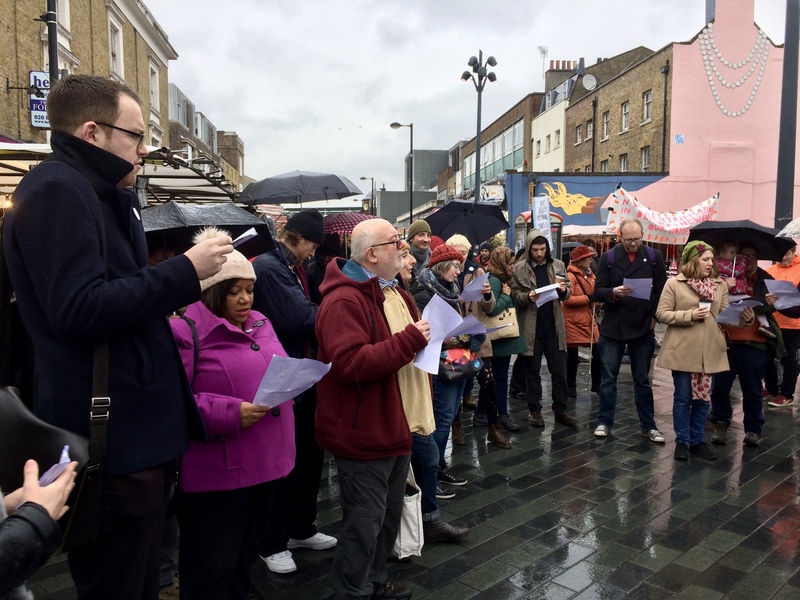 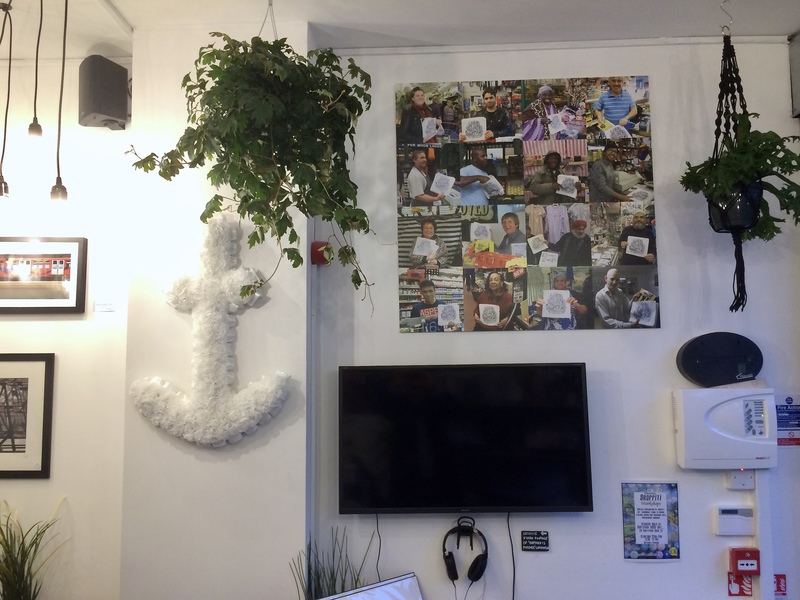 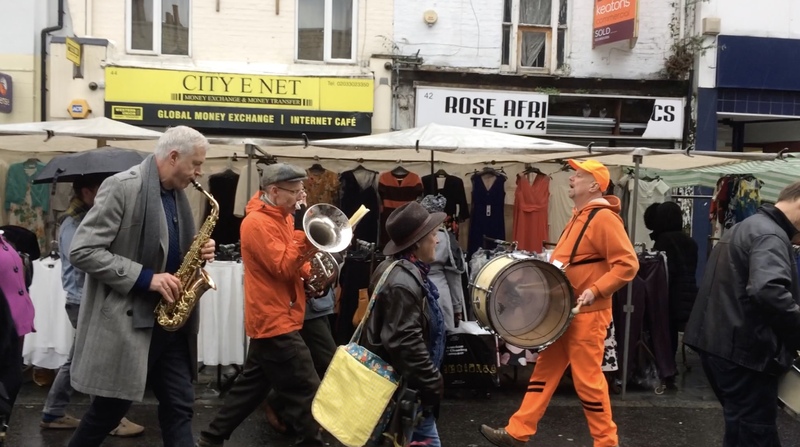 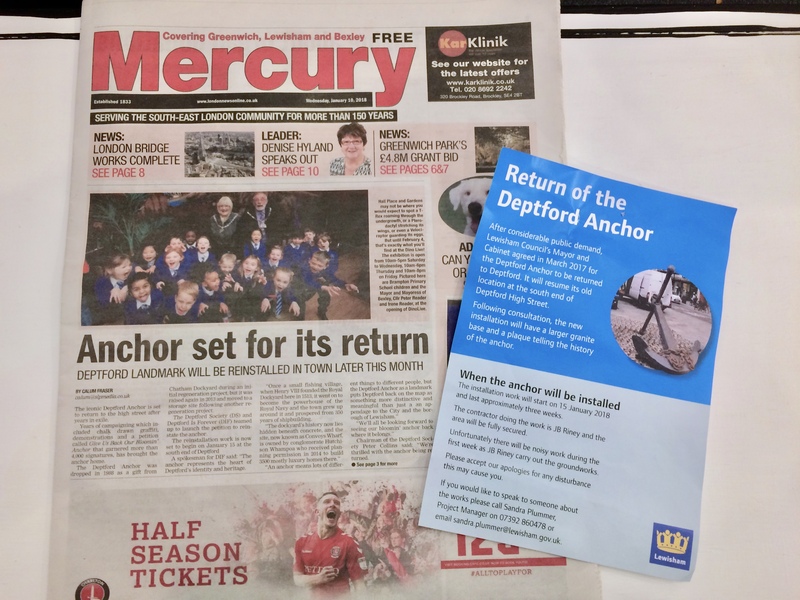 Deptford Is Forever join Sayes Court CIC to celebrate the anchor's return with a show at Deptford Does Art. 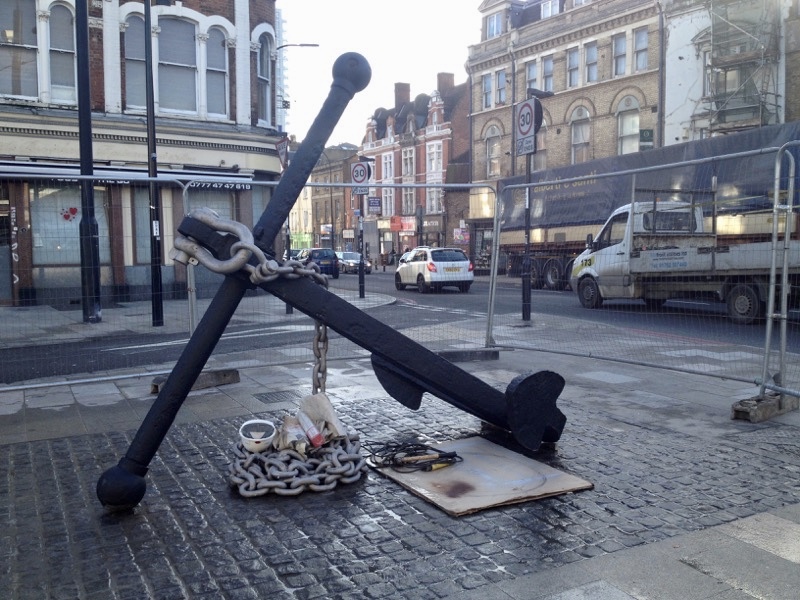 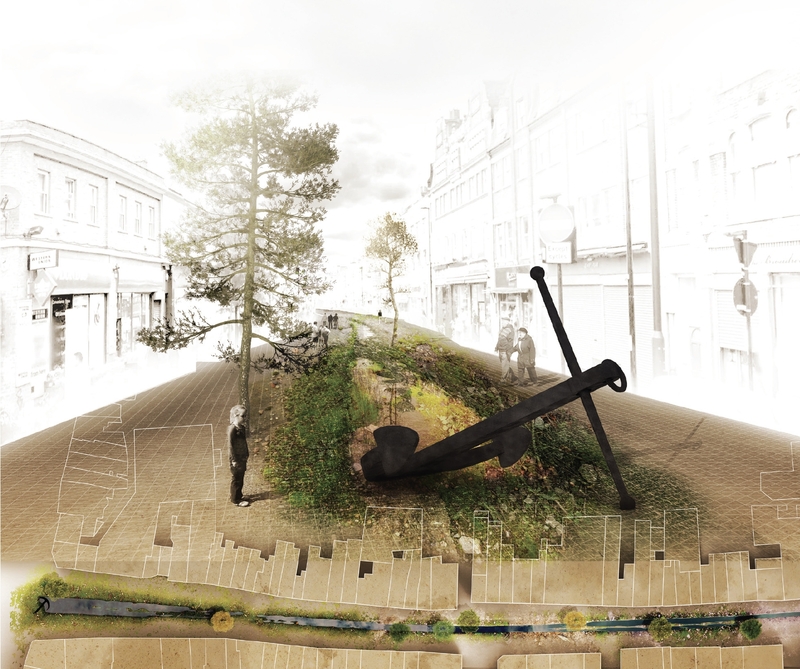 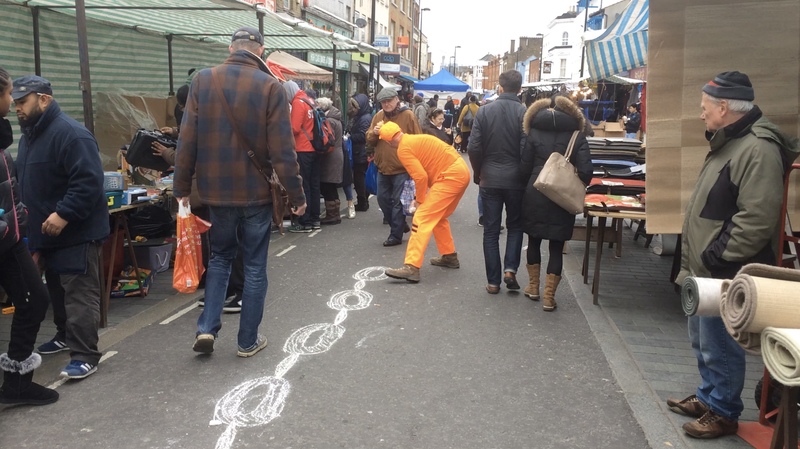 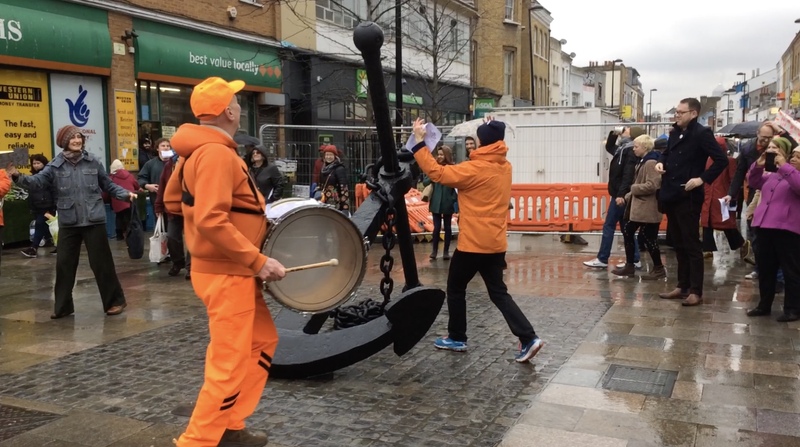 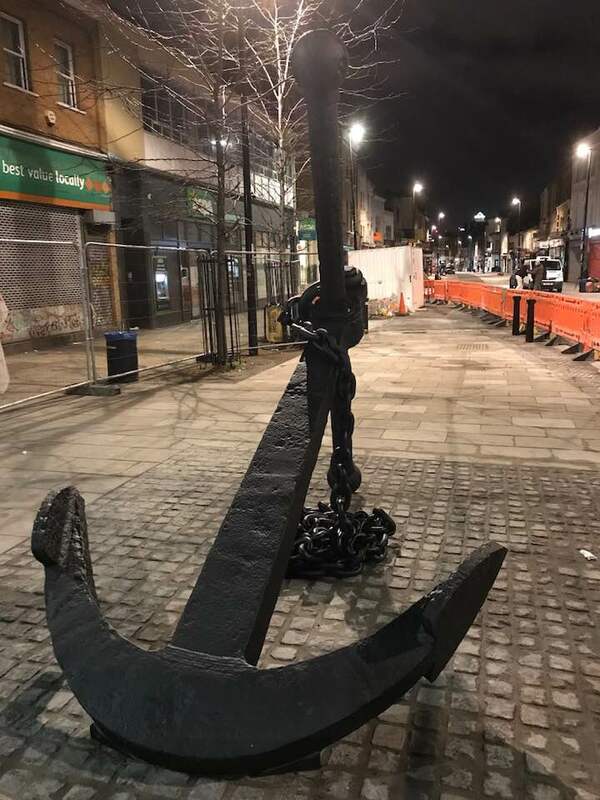 Sayes Court present the work of Greenwich University Landscape Architecture MA graduate Max Barnes, who imagines the anchor being dragged out of storage all the way down the high street. 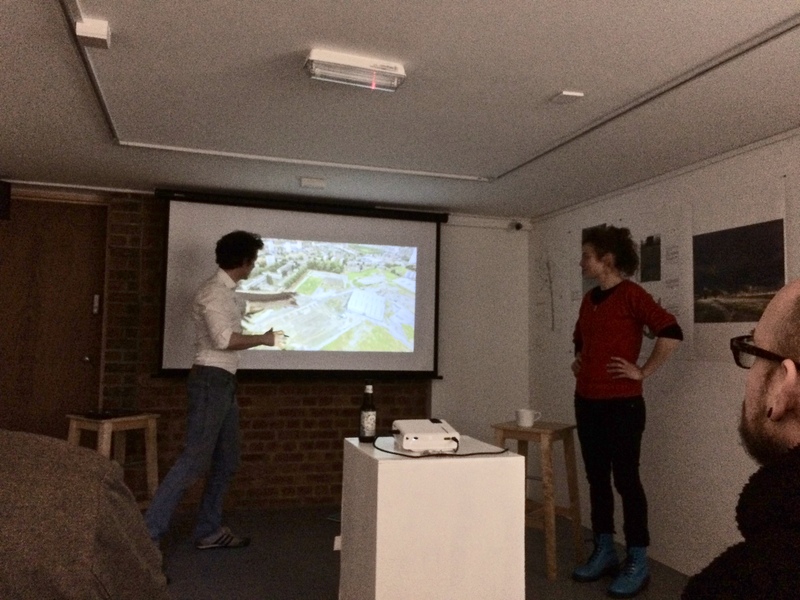 DIF present a visual archive of their four year campaign, referencing the work of both The Lenox Project and Sayes Court. 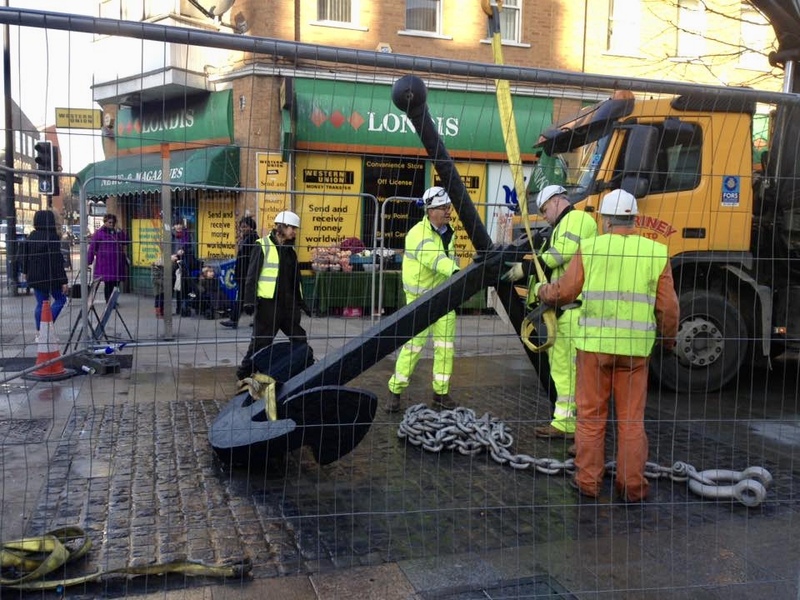 The anchor arrives. 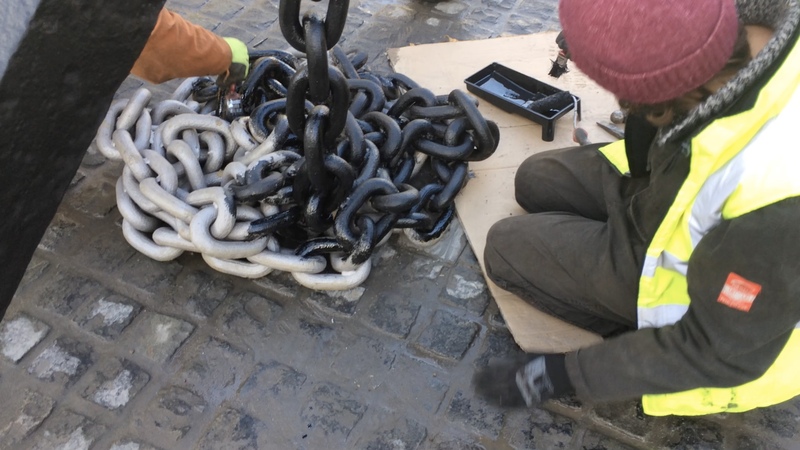 Some finishing touches are required. 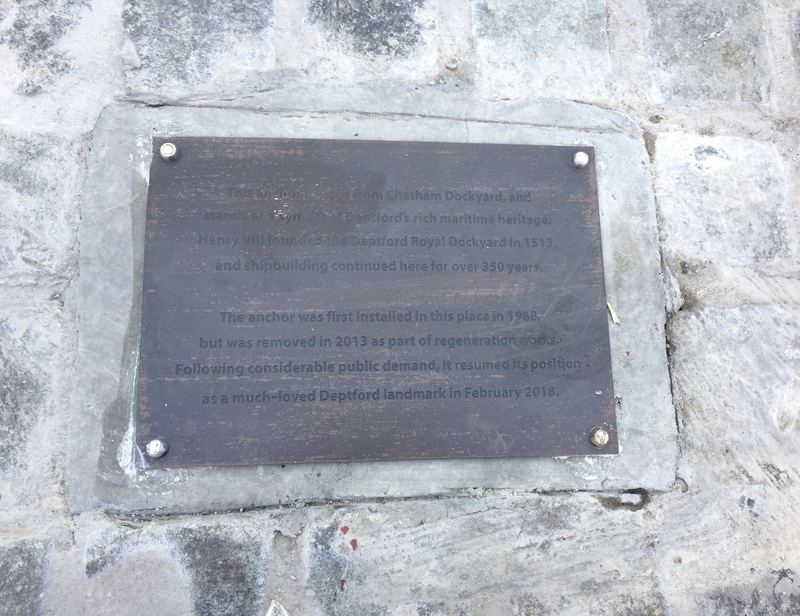 Although the anchor is back, we must wait another week for a plaque to be added to the base before fencing is removed.